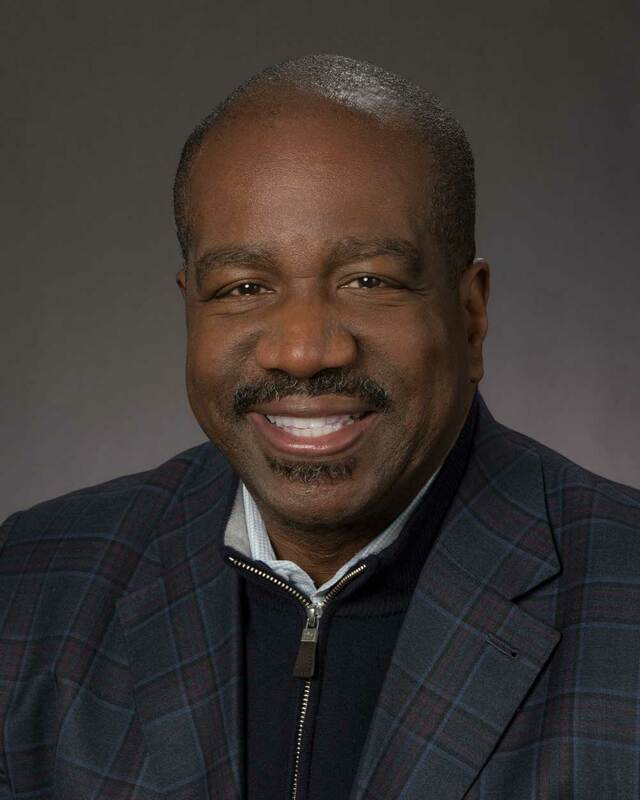 Orlando Ashford is president of Holland America Line, a leader in the cruise industry. He has nearly 25 years of global experience in executive and talent management, organization development, change management and corporate human resources. He is the author of “Talentism,” a book in which he examines how technology and human networks can bridge the skills gap in the workforce, improve business performance and benefit society at large. Ashford has a master’s degree in industrial technology and a bachelor's degree in organizational leadership, both from Purdue University. He was named to the “Directorship 100” of the National Association of Corporate Directors in 2013 and 2014, and he is a Purdue University School of Technology Distinguished Alumnus. Jim Berg, an attorney with the Yakima law firm Larson Berg & Perkins PLLC, joined the Virginia Mason Health System board of directors in April 2018. Berg has been a member of the Washington State Bar Association since 1977. He is licensed to practice before all Washington State courts, United States District Courts for the Eastern and Western District of Washington, and the United States Court of Appeals for the Ninth Circuit. Berg is a member of the American Board of Trial Advocates and a Fellow in the American College of Trial Lawyers. He has also served as a board member and president of the Washington Defense Trial Lawyers, and participated on Washington State Bar Association committees. He is immediate past director and former chairman of Virginia Mason Memorial in Yakima. Berg is a former board member and president of the Downtown Yakima Rotary Club, Yakima Rotary Trust, Provident Industries/Entrust Community Services, and Yakima Tennis Club. 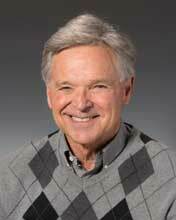 He is also a past board member of Yakima YMCA and St. Elizabeth Medical Center. A native of Seattle, Berg earned a bachelor’s degree in political science from the University of Washington and his law degree from Willamette University. Jane Blodgett retired from Ernst & Young in 2010, where she most recently served as office managing partner for the Seattle and Portland offices. Blodgett was responsible for operating results of the two offices, as well as office-wide activities for business development, marketing and quality. In addition to her office managing partner responsibilities, she also served as coordinating partner on a broad range of public and private companies in technology, Internet, timber, life science and service industries. As the coordinating partner, Blodgett was not only responsible for the audit of her clients’ financial statements, but also advised companies on matters such as mergers and acquisitions, strategic arrangements, Sarbanes Oxley requirements, technical accounting matters, and reviewing client public information releases. Blodgett joined the Virginia Mason Health System/Virginia Mason Medical Center boards in 2012 and began chairing the Audit and Compliance Committee in 2013. She formerly served on the USC Leventhal School of Accounting board of advisors, where she currently serves on the Finance Committee. Blodgett has also served on boards of the Alliance for Education, Greater Seattle Chamber of Commerce and is a past chair of the Boys and Girls Clubs of King County. 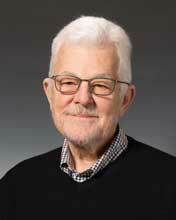 Bob Carlile is a retired Certified Public Accountant and Seattle resident who joined the Virginia Mason Health System and Virginia Mason Medical Center boards of directors in May 2018. During a 39-year career in public accounting, he worked with clients in industries such as retail, distribution, forest products, airlines, high-tech, life sciences and manufacturing. 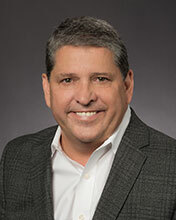 Carlile is a member of the board of directors at MicroVision – a Redmond-based, laser-beam scanning technology company – and chair of the Northwest Chapter of the National Association of Corporate Directors. He previously served on the University of Washington’s Foster School of Business Advisory Board; the Seattle Public Library Foundation Board of Directors; and the Greater Seattle Chamber of Commerce Board of Directors. Carlile earned a bachelor’s degree in accounting from Boise State University. 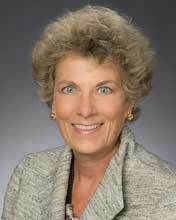 Carolyn Corvi is the former vice president-general manager of Airplane Programs for Boeing Commercial Airplane Group. In this position she was responsible for leading Commercial Airplanes integrated production system – including design, production and delivery of the 737, 747, 767 and 777, as well as component part fabrication, and global supply chain operations in support of these airplane programs. 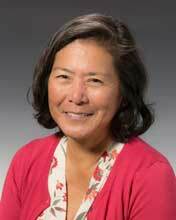 As Boeing's lean leader and student of the Toyota Production System, she continued to spearhead Boeing's lean cultural transformation, while leading the implementation of industry-leading practices. Prior to this, Corvi served as vice president-general manager of the 737/757 Airplane Programs. Corvi retired in January 2009 concluding a 34-year career during which she held leadership positions in program management, manufacturing, quality assurance, propulsion and aircraft systems. She currently serves on the corporate boards of United Airlines, Allegheny Technologies, Inc. and Hyster-Yale Materials Handling, Inc.
Corvi is member of Women Corporate Directors, the National Association of Corporate Directors and the Society of Manufacturing Engineers. In 2013, she was recognized by the Northwest Chapter of the National Association of Corporate Directors as the public company director of the year. Corvi is co-founder of the Northwest Children's Fund and former board member at Washington's National Park Fund and the YWCA. She remains involved in the community, serving on the board of the Virginia Mason Medical Center and Health System, the Virginia Mason Institute, and as a trustee at the Museum of Flight. The Seattle native earned a bachelor's degree from University of Washington and master's in management from Massachusetts Institute of Technology. Maud Daudon is executive leader of Career Connect Washington, an initiative of Governor Jay Inslee to create a 10-year vision and strategic plan for building a statewide, career-connected learning and apprenticeship system in Washington state. Daudon was previously president and CEO of the Seattle Metropolitan Chamber of Commerce, the largest business organization in the Seattle region with more than 2,300 members. She is also chairwoman of the Washington State Student Achievement Council and was part of Governor Inslee’s 45-member delegation to study the career-connected learning and apprenticeship system in Switzerland. 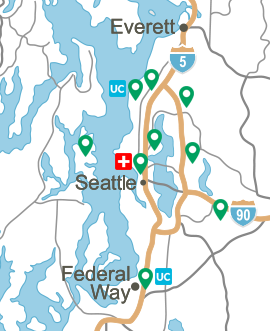 Prior to joining the Seattle Metropolitan Chamber of Commerce, Daudon was president and CEO of Seattle Northwest Securities, a regional investment bank. She also served as Seattle’s deputy mayor from 1998 to 2001. Prior to that, she served for eight years as the Port of Seattle’s chief financial officer. In 2012, the Puget Sound Business Journal recognized her as a Woman of Influence. Daudon has a MBA from the Yale School of Management and a bachelor’s degree from Hampshire College in Amherst, Mass. Dr. Lewis (Lonnie) Edelheit retired from General Electric (GE) in December 2001 after a successful tenure as GE's senior vice president, R&D, and member of GE's Corporate Executive Council. Highlights of his tenure include significant advances in the introduction of high-technology into GE's services businesses, Internet applications and Corporate R&D's leadership of the design for Six Sigma quality and e-Engineering initiatives throughout the GE businesses. Dr. Edelheit began his professional career in 1969 as a physicist at the GE R&D Center, where he made significant contributions to computed tomography (CT) X-ray systems. In 1976, Dr. Edelheit transferred to GE Medical Systems in Milwaukee, Wis., where he helped move GE's radically new form of computed tomography X-ray scanner quickly to the marketplace. In 1986, Dr. Edelheit left GE to become president and CEO of Quantum Medical Systems, a venture capital-backed company that pioneered color flow ultrasound for vascular imaging. He returned to GE in 1991 as manager of the R&D Center's Electronic Systems Research Center and in 1992 assumed leadership of Corporate R&D. A Chicago native, Dr. Edelheit earned a bachelor's degree in engineering physics as well as a master's degree in science and PhD in physics from the University of Illinois in 1969. Tod Hamachek was named chairman and chief executive officer of Penwest Pharmaceuticals Co. in October 1997 and retired from Penwest in 2005. Prior to the spin-off of Penwest Pharmaceuticals from Penford Corporation, Ltd., Tod was president and chief executive officer of Penford. Previously, he was senior vice president of the manufacturing group of Univar Corporation, Penwest's parent at that time. Penwest was spun off from Univar in 1984. He is past director of First Interstate Bank of Washington and DEKALB Genetics Corporation; past director of The Washington Roundtable; past chairman and member of the advisory board of The University of Washington School of Business; past vice chairman and trustee of The Seattle Foundation; past trustee of Williams College and Lewis & Clark College, the Nature Conservancy – Washington Chapter, Pacific Science Center, and the Pacific Northwest Arts and Crafts Association; past chairman of the board of trustees of The Pacific Crest Outward Bound School; and past trustee of Outward Bound, Inc., and a past trustee of the Aldrich Museum of Contemporary Art, Ridgefield, Conn. He is chairman of the board of directors for Northwest Natural Gas Company, member of the board at The Seattle Times Co. and the Blethen Corporation (majority owner of The Seattle Times), a member and chair of the Virginia Mason Health System and Virginia Mason Medical Center boards and a member and past chair of the Sun Valley Center for the Arts. Hamachek earned his bachelor's degree from Williams College and a MBA from Harvard Business School. Karen Lee is the chief executive officer of Pioneer Human Services, a Seattle-based manufacturer of aerospace and commercial products and a social enterprise organization renowned for uplifting criminal justice-involved individuals through job training, counseling and housing. She is a former commissioner of the Washington State Employment Security Department and a statewide leader and advocate on prison reentry, jail diversion and social justice. She has more than 20 years of experience in senior management positions within business and government. Lee received a degree in law from the University of Washington and she is a graduate of the United States Military Academy at West Point. She is a member of the Washington State Bar Association and a past president and trustee of the University of Washington Alumni Association. 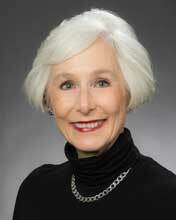 She has been a member of the Western Washington University Board of Trustees since December 2010. 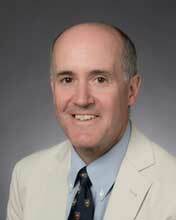 Robert Lemon spent his entire 31-year business career with Accenture LLP, including 21 years as a partner. He retired in 2003. Accenture, formerly Andersen Consulting, is a global management consulting and technology services company. Lemon held numerous leadership positions with Accenture, finishing as Industry Managing Partner for the firm's Health Services practice. He specialized in health care information technology, finance and performance management, revenue cycle reengineering and large-scale program management. Over the course of his career, Lemon worked with hundreds of Accenture's clients locally, nationally and internationally. In 2003, he joined the Virginia Mason community as a Benaroya Research Institute (BRI) board member, and was board chair from 2008 to 2009. 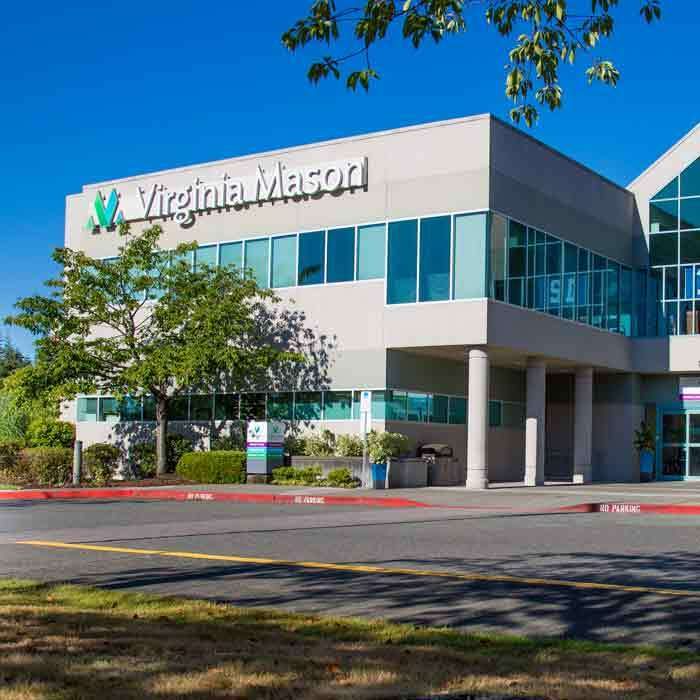 Lemon now enjoys added responsibilities as a member of the Virginia Mason Health System and Virginia Mason Medical Center boards and numerous subcommittees. Mary McWilliams recently retired as executive director of Washington Health Alliance (WHA; formerly Puget Sound Health Alliance), after serving in the role since her appointment in June 2008. 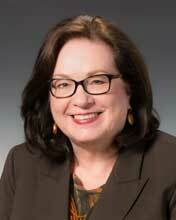 Prior to her role as executive director, she served as a member of WHA's Board of Directors for three years. During this time, McWilliams also served on the Board of the Network of Regional Healthcare Improvement and its Center for Healthcare Quality and Payment Reform, and was a member of the Advisory Committee for the Washington Health Benefits Exchange. McWilliams was at Regence BlueShield from 1997 to 2008, where she served as a senior vice president until she was promoted to president and CEO in 2000. 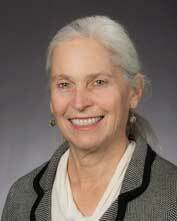 She was founding president and CEO of PacifiCare of Washington from 1994 to 1996. 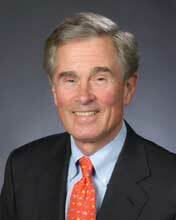 Prior to that, McWilliams was founding CEO of Providence Health Plans in Oregon from 1983 to 1994. Previous positions included project director for American Health Management and Consulting Corporation near Philadelphia and the first marketing director of Rocky Mountain Health Maintenance Organization in Colorado, the oldest federally qualified IPA - HMO. McWilliams is also a past director and board chair of the Seattle Branch of the Federal Reserve Bank of San Francisco and a board member of Puget Sound Energy. She is a member of Women Corporate Directors and the Washington State Women's Forum. McWilliams previously served on the boards of the Russell Trust Company, Port Blakely Companies, Gardenburger, Wesleyan University, and the National Trade Association for Health Plans. Her civic commitments have included Seattle Rotary, Seattle Symphony, YWCA, Safe Crossings, PONCHO, and the Greater Seattle Chamber of Commerce, where she was a past chair. McWilliams earned a bachelor's degree in American studies from Wesleyan University and a master's degree in health administration from the University of Colorado. Gregg Meyer, MD, MSc, is chief clinical officer of Boston-based Partners HealthCare System, where he is responsible for overall direction, operations and management of health care delivery throughout the 64,000-employee organization founded by Brigham and Women's Hospital and Massachusetts General Hospital. He is also a Professor of Medicine at Harvard Medical School. 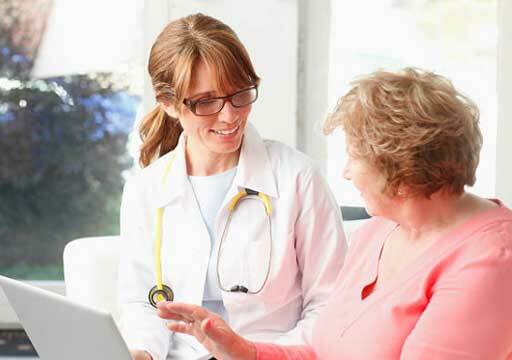 Before joining Partners, Dr. Meyer was chief clinical officer and executive vice president for Population Health at Dartmouth-Hitchcock Medical Center, as well as senior associate dean for Clinical Affairs and Paul B. Batalden Professor and Chair at Geisel School of Medicine. Prior to coming to Dartmouth in 2012, Dr. Meyer spent a decade as a lecturer in medicine at Harvard Medical School, and served as senior vice president of the Edward P. Lawrence Center for Quality and Safety at Massachusetts General. Before that, he was medical director at Massachusetts General, and was director of the Center for Quality Improvement & Patient Safety in the Agency for Healthcare Research and Quality at the Department of Health & Human Services. 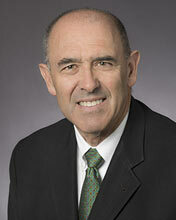 Dr. Meyer also served as a member of President Clinton’s Healthcare Reform Task Force. 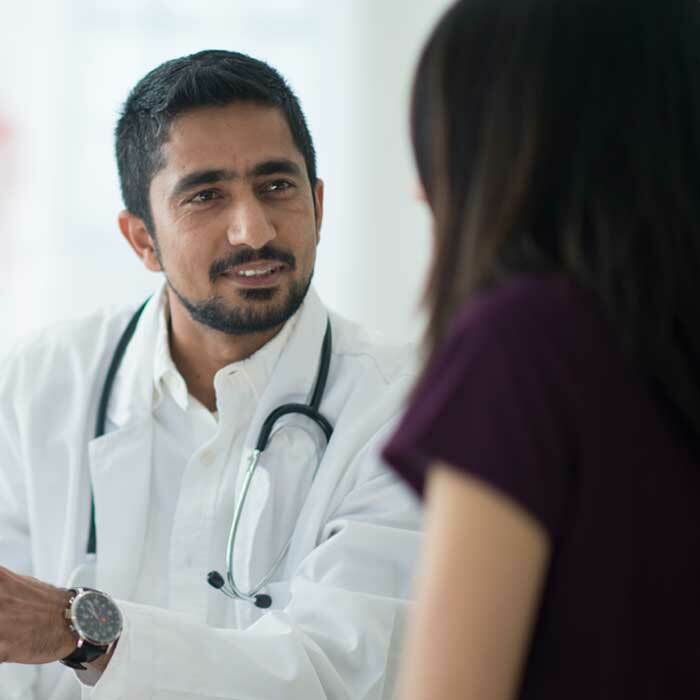 Dr. Meyer is a national leader on quality and safety, having led studies on best practices, patient safety, outcomes, medical education and training, and health policy. Julie Morath is senior vice president of Quality & Safety for California Hospital Association and CEO of the California Hospital Quality Institute. 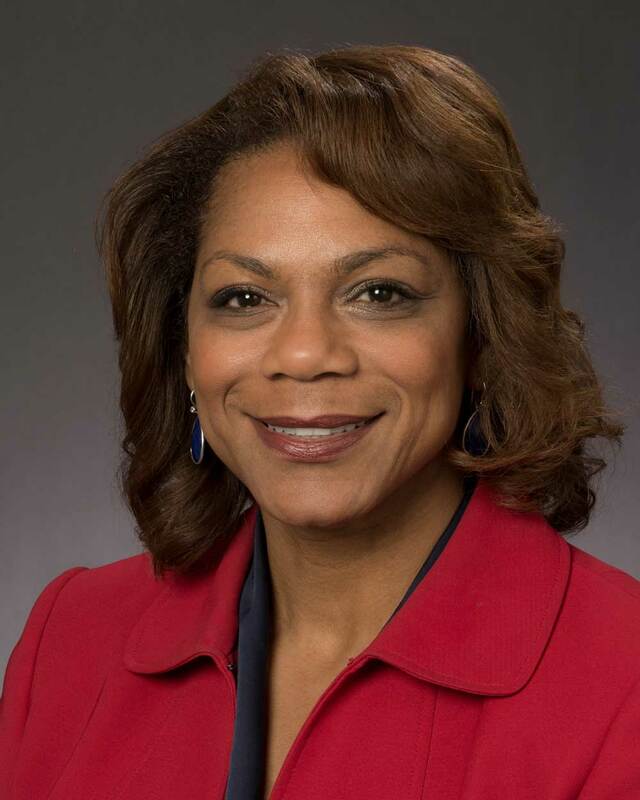 Her previous roles include chief quality and safety officer for the Vanderbilt University Medical Center, chief operating officer of Children's Hospitals and Clinics of Minnesota, and system vice president of Allina Health System in Minnesota. Her career includes clinical practice and more than 20 years as a health care executive and chief nursing officer in academic, community and health system settings. She is a frequent speaker and author, and the recipient of multiple awards for her work in quality and safety, including the inaugural recipient of the John M. Eisenberg Award for individual Life Time Achievement. She introduced the Toyota Production System during her work at Children's as the management and improvement system for care delivery. Morath earned a bachelor’s degree in nursing from the University of Michigan and a master's degree in science from the University of California, San Francisco. She has extensive continuing professional education, including doctoral course work in social psychology from the University of Cincinnati. John Oppenheimer is a travel and tourism visionary and entrepreneur with a passion for the hospitality industry. Over the past 25 years, he has founded five successful, private hospitality-related businesses. Oppenheimer was a founding general partner of Seattle Hotel Group, the investment group that developed the Four Seasons Hotel and Residences Seattle. In 1995, he founded Columbia Hospitality to manage Bell Harbor International Conference Center for the Port of Seattle. In this role he established the company's consulting division, which has completed more than 80 hospitality development projects throughout the United States and abroad. Today, Columbia Hospitality manages 37 properties. In addition to serving on the Virginia Mason Health System Board, Oppenheimer serves on the Virginia Mason Medical Center Foundation Board as chairman, the 5th Avenue Theatre Board of Directors, the Western Region Advisory Board of Northern Trust and is a past chairman and current member of the World President's Organization. He is a past board member of several organizations including the Greater Seattle Chamber of Commerce, Washington Council on International Trade and past chairman of the Woodland Park Zoo. Oppenheimer is also author of the book, Keys to the Room: Unlocking the Doors to Opportunities and Possibilities. He earned bachelor's degrees in urban affairs and political science from the University of Puget Sound. Duane Rossman is a seasoned business executive who was an area general manager for Weyerhaeuser in Yakima and Moses Lake for 37 years. He has been a member of the Yakima Valley Memorial Hospital (now Virginia Mason Memorial) Board of Trustees for 20 years. During his almost four decades with the large timberland ownership company, Rossman attended the Weyerhaeuser Management Program coordinated by the University of Washington Business School. 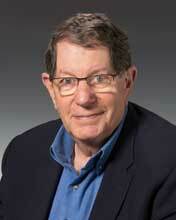 He also attended the Cornell Graduate School of Business and Public Administration management program. In addition, Rossman was part of a Weyerhaeuser team that traveled to Japan in 1986 to study quality processes of world-class companies. Rossman served on the Memorial Board for four three-year terms from 1991 to 2002, and was chairman between 1999 and 2001. He retired from Weyerhaeuser in 2005 and returned to the Memorial Board in 2007. 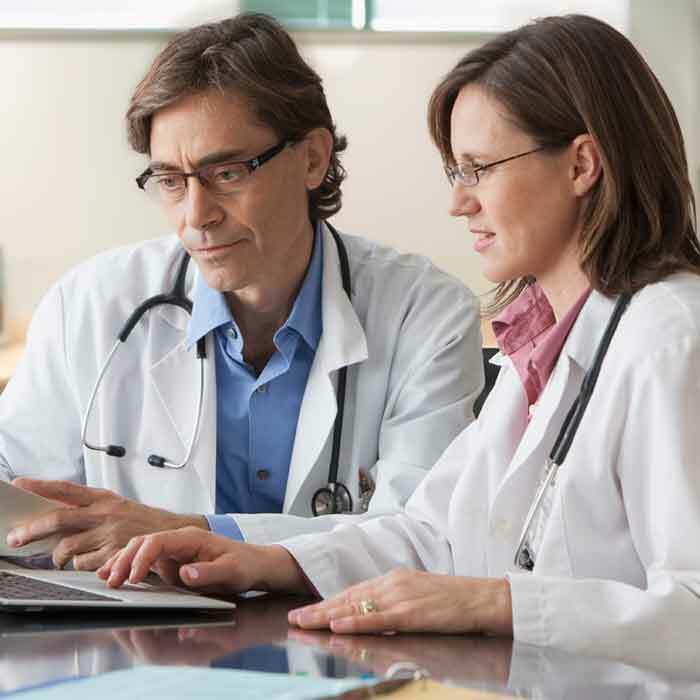 Rossman was a member of the American Hospital Association’s Committee on Governance from 2010 to 2013 and completed his second three-year term with the Washington State Hospital Association in December 2015. Rossman also served on the Pacific Northwest University of Health Sciences Board from 2007 to 2013, where he was board secretary and a member of the Finance and Executive committees. After earning a bachelor’s degree from Washington State University, Rossman was drafted by the Chicago Cubs and played two years of professional baseball. Kevin Schemm is senior vice president of Supply Chain Management, Finance & Business Operations and chief financial officer of Boeing Commercial Airplanes, a unit of The Boeing Company. He is responsible for improving overall execution, accelerating productivity gains and optimizing future investments to strengthen Boeing’s leadership in the aerospace industry. Schemm has been a part of the Boeing family for more than two decades since joining the company in 1985 in Wichita, Kansas, as a systems engineer in Boeing’s Military Airplanes division. 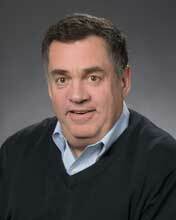 He moved to the Boeing Commercial Airplanes team in 1990, where he served as vice president of Contracts. In 2012, he started a four-year journey as Boeing’s vice president of North America and Leasing Sales before accepting additional responsibilities in June 2015. Schemm earned a bachelor’s degree in electrical engineering from Kansas State University and a master’s degree in business administration from University of Washington. He serves on the boards at The Museum of Flight and Virginia Mason Foundation in Seattle, and the advisory board at University of Washington’s Foster School of Business. 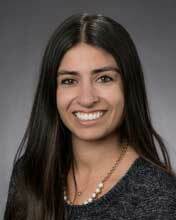 Schemm previously served on the Bellevue Arts Museum’s board of trustees..
Asha Sharma is currently the Head of Consumer Product for Messanger and a board director at Porch.com. Prior, she served as chief operating officer and early team member of Porch.com, where she was responsible for the company's finance, operations, product, support, partnerships, growth and marketing. Before joining Porch.com, she worked at Microsoft spanning B2B and B2C marketing and operations where she managed an incubation mobile cloud-based business for North America. While at Microsoft, Sharma also launched Windows 8 Enterprise across retail, field sales and channel partners, and led Xbox global lifestyle and entertainment marketing communications. Prior to working at Microsoft, she held roles at Deloitte Consulting LLP and SC Johnson & Son. Sharma has more than 10 years of revenue, operational delivery, product and marketing experience and started her career by founding two companies, one of which was recognized by former President Barack Obama in 2012. She currently serves as board director for Help Scout, a private help-desk SaaS company powering more than 7,000 support teams in 140 countries; and as a trustee for Seattle Foundation, one of the largest global community foundations, which manages nearly $1 billion in assets. Sharma has been recognized on lists for Forbes' 30 Under 30 List, LinkedIn Next Wave's 35 Under 35, and Puget Sound Business Journal’s 40 Under 40. She earned a bachelor's degree in business from the University of Minnesota, Carlson School of Management and is currently pursuing an Executive MBA from the Massachusetts Institute of Technology. Following six years of active duty as a Navy fighter pilot and flight instructor, David Williams joined San Francisco-based Wells Fargo Leasing Corporation. In 1976, he moved to Seattle to lead the equipment leasing subsidiary for Rainier Bank, igniting a 20-year career in corporate and retail banking. 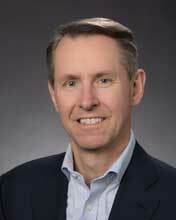 Williams last held the position of vice chairman for Security Pacific Bank Washington (now Bank of America). In 1996, Williams served as CEO of Northwest Eye, a $7 million ophthalmology practice, managing its sale and integration with a Toronto-based laser surgery company. He went on to direct recruiting and admissions for the University of Washington Master of Business Administration program until 2001. A trustee of AAA of Washington for 15 years, Williams led several committees and served as chairman of the board. He was past chairman of the University of Washington Development Fund; served on the Economics Visiting Committee of University of Washington School of Arts & Sciences; was a panel chair at United Way, as well as a board member for the Patrons of Northwest Civic, Cultural and Charitable Organizations (PONCHO). Williams earned a bachelor’s degree from the University of Washington and an MBA from Stanford University. He has been a member of the Virginia Mason Board of Governors since 1991, a member of the Benaroya Research Institute Board since 2014 and is past chair of the Virginia Mason Health System and Virginia Mason Medical Center boards.